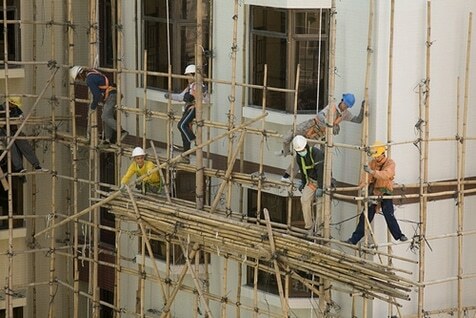 The risk of injury in the workplace is very real, with statistics from Safe Work Australia showing that 5.8% of Australia’s 12 million-strong workforce suffering an injury of some kind over a 12-month period to June 30, 2010. The job of reducing these incidents does not rest on any one person’s shoulders, but a key figure in the fight is the resident PCBU. A PCBU (a Person Conducting a Business or Undertaking) has a very detailed job, which could be compared to what was once called a safety officer’s duties. Their role involves practically everything, from identifying possible hazards to controlling the working environment to make it safer. This is done chiefly by introducing detailed safety measures to keep workers as safe as possible, and continually reviewing and developing them to maintain that level of safety. Of course, when the workplace contains a large number of employees, and the work complex covers a large area, this can turn out to be quite a job. However, the specific elements fall into 4 distinct categories of responsibility. Delegating responsibilities is also a critical part of the job, which is where First-Aiders are so important. PCBUs must not only ensure all the necessary equipment is available, properly stored and easily accessible, they must also ensure a qualified First-Aider is always on duty, and that elected First-Aiders are sent on the relevant certified courses to build their experience and knowledge. But how exactly do a PCBU and First-Aider work together? Well, the relationship is clearly defined on the First-Aiders Fact Sheet [348KB] published by Safe Work Australia. Below is an extract relating to that relationship. To learn more, read the entire fact sheet by clicking on the link above, or by simply visiting the Safe Work Australia website. What PCBU Must Do For Their First-Aider? First aid requirements may vary from one workplace to the next depending on the nature of the work, the types of hazards present, the workplace size and location and the number of people at the workplace. All of these factors should be taken into account by a PCBU in deciding what first aid arrangements need to be provided. This includes the number of trained first aiders who should be available to administer first aid at the workplace. Your PCBU must ensure that you are properly trained to administer first aid. First aiders should hold nationally recognised Statements of Attainment by a Registered Training Organisation for the nationally endorsed first aid units of competency. You should attend training on a regular basis to refresh your first aid knowledge and skills to confirm that you are competent to provide first aid. It is up to your PCBU to ensure that your first aid training is appropriate to the nature of the workplace and to pay for this if necessary. Where there are hazards particular to your workplace or the operations at your workplace, you should be made aware of the hazards, the types of injuries or illnesses they may cause and the first aid required for such injuries or illnesses. Where there are specific circumstances at your workplace, such as workers with severe allergies, you may also need to undertake additional first aid training in order to be able to respond effectively, especially if previous training has not covered the relevant topic. Alsco offers a fully managed First Aid Kits rental service designed to ensure ongoing OH&S compliance for any business, in any state. Alsco’s service provides quarterly restocking and auditing, spelling an end to OH&S first aid headaches. A full range of first aid kits is available, to suit a variety of business needs and sizes, from industrial first aid kits to school first aid cabinets. Alsco’s rental program takes away the financial burden of capital outlay and depreciation, replacing it with a tax-deductible service. Contact Alsco to arrange a free first aid audit and advice – with no obligation.